Season 7 is just around the corner and Epic Games have released portals into the in-game world. "Fortnite Battle Royale" players are eagerly waiting for the seventh season of the popular video game. With only four days until the end of season 6, season 7 will most likely begin on Thursday, December 6. Epic Games have been releasing weekly challenges on every Thursday, which is why we can expect the ongoing season to conclude on this day. However, it won't be surprising if the game creator extends it until the week of December 10. Season 7 preparations have already begun, and "Fortnite" players can see some subtle changes in the in-game world. Not only is the iceberg approaching the island from the southwestern part of it, but mysterious portals have also started appearing recently! This is definitely not a coincidence, and these portals may be used in the next season for transportation over the map. 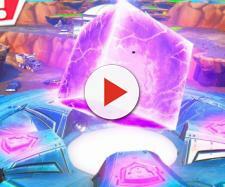 Portals were first noticed on the Nintendo Switch edition of "Fortnite Battle Royale." The first portal appeared in the desert, southeast of Paradise Palms. This portal can be found close to the spot where the mysterious cube appeared in season 5. Additionally, the portal is very close to the coordinates found in the season 6, week 10 loading screen. The second portal can be found in Snobby Shores. Even though it doesn't look radial as the desert portal, it looks like it's made of fog. Considering that Snobby Shores is on the western side of the island, we believe that this effect comes from the iceberg that's approaching the island from that side. While the iceberg is relatively far, we can already see its effect on the playable area as players now have a cold breath on the starting island. Epic Games have been really good when it comes to teasing new things in "Fortnite Battle Royale," which is why we believe that this is not just a coincidence. With only four days until season 7, we can expect even more changes to the map and mysterious clues players will have to reveal. Season 7 theme hasn't been revealed yet, but we do know that it is going to bring a snow biome to the game. Season 4 introduced us to hop rocks, while season 5 was all about rifts. In season 6, players used shadow stones and bouncers in corrupted areas to move quickly around the map. 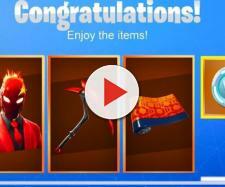 Epic Games have been constantly introducing new mobility items to the game, which is why we believe that these portals are going to be another way of traveling across the in-game island.